Today’s Zimbabwe vs Pakistan is the 3rd ODI of the 5-game one-day international series. Pakistan is already leading in the PAK vs ZIM tournament by winning the first two limited overs cricket matches. If Pakistan happens to win this game, then they will win the series. So, it has become a do-or-die match for the hosts, Zimbabwean cricket team. 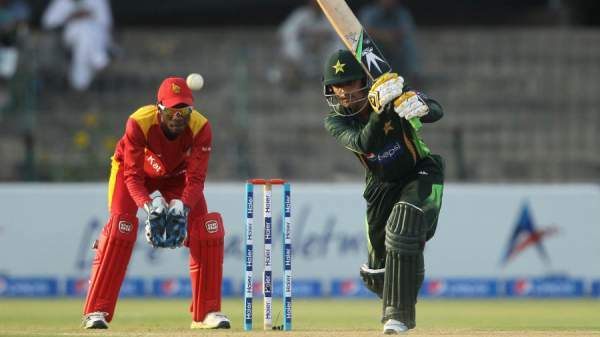 The ZIM v PAK live streaming and how to watch online information is provided on this page. Besides it, you will get to know the match preview, playing xi, and after the match – the result, man of the match, video highlights, etc. You can watch live cricket match today online with the portals of the official broadcaster. Sony Network has purchased the rights to this series to air in the Indian subcontinent. The live telecast will be available on Sony ESPN while the live stream can be watched online on SonyLIV.com & its app and Jio TV. This match is scheduled to be played at Bulawayo located in Zimbabwe. The game will start at 12:45 pm IST while the toss will take place at around 12:15 pm IST, half an hour before the actual play starts. Pakistan stands at number 4 in the ICC ODI rankings while Zimbabwe is at #11. Pakistan has been able to win the first two games with the help of opening batsmen – Zaman and ul-Haq. So, this time too, the team will rely on the opening duo. Previous articleNoragami Season 3: When is the anime series releasing?